PDF to Word - Easy to use Converter! How to convert a PDF to Word we show you on this page, because converting a PDF to Word is really not difficult with our PDF to Word Converter! 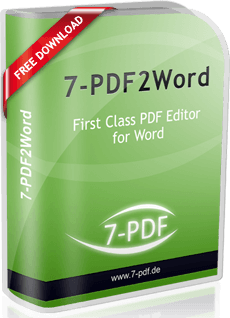 By the way, one of the best PDF to Word converter on the market! 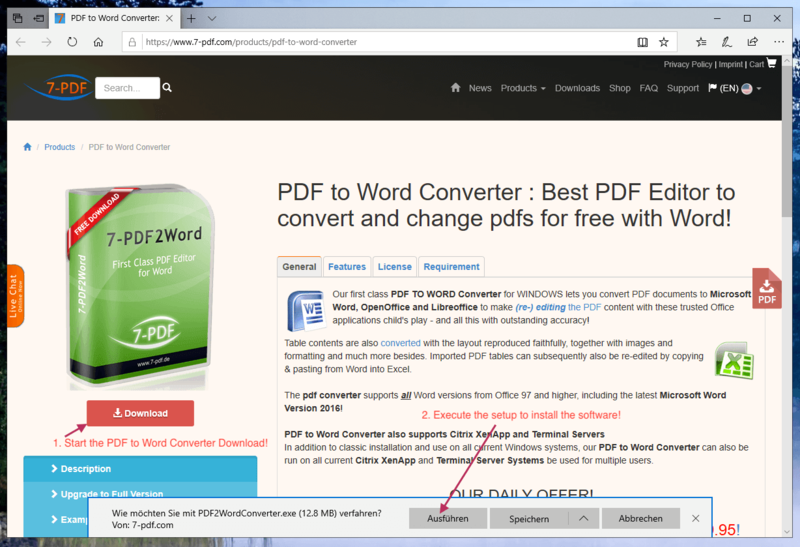 First of all, download our PDF to Word Converter from this website and then install the software through the installer. Here we are using the PDF to Word Converter under Windows 10 with Microsoft Word 2016. Starten sie danach den PDF in Word Konverter wie in der nachfolgenden Abbildung gezeigt. Step 1. shows the PDF that we want to load in Word to then edit it with Word. Step 2. points to the button that starts the file manager to load the desired PDF file from the hard disk to the PDF in Word Converter. Step 3. shows the button to press after selecting the PDF to start the PDF to Word conversion. Step 4. + 5. show the result of PDF to Word conversion directly in Word. Microsoft Word automatically appears with the previously converted PDF after the conversion process is complete. 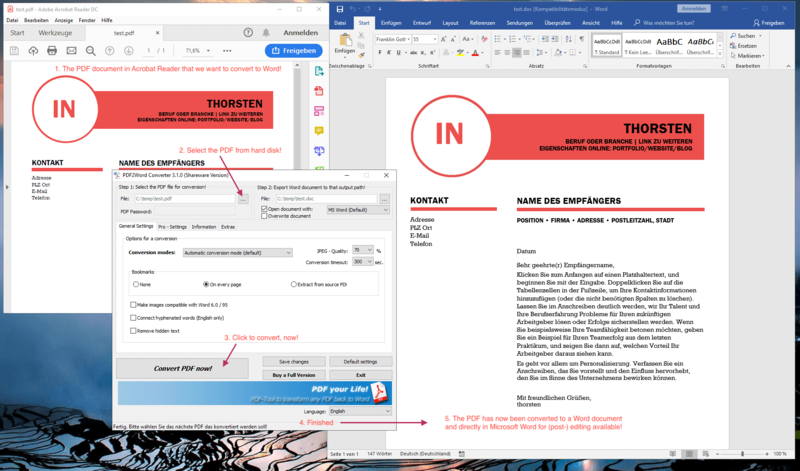 You can now start editing directly in Microsoft Word 2016 or older and make changes to the PDF content and save it as a Word document.